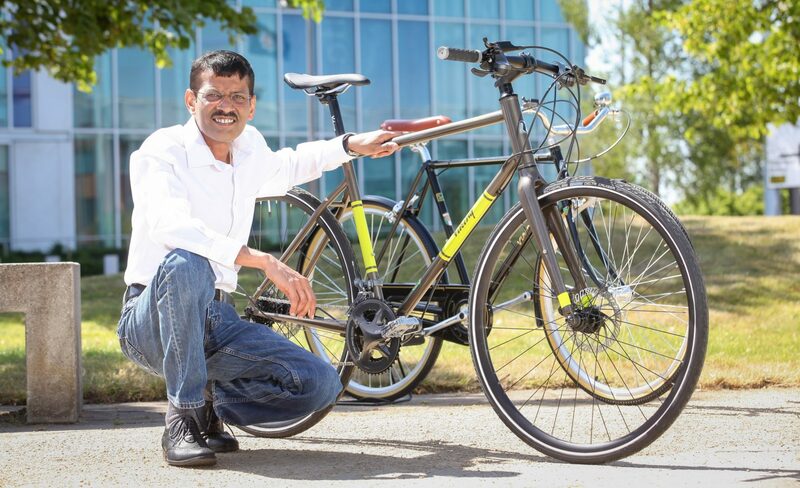 Manchester-based Indian-owned Hero Cycles is announcing ambitious plans to unleash an export drive, in partnership with Cheshire ecommerce giant The Hut Group, for its new bike brand – Insync. 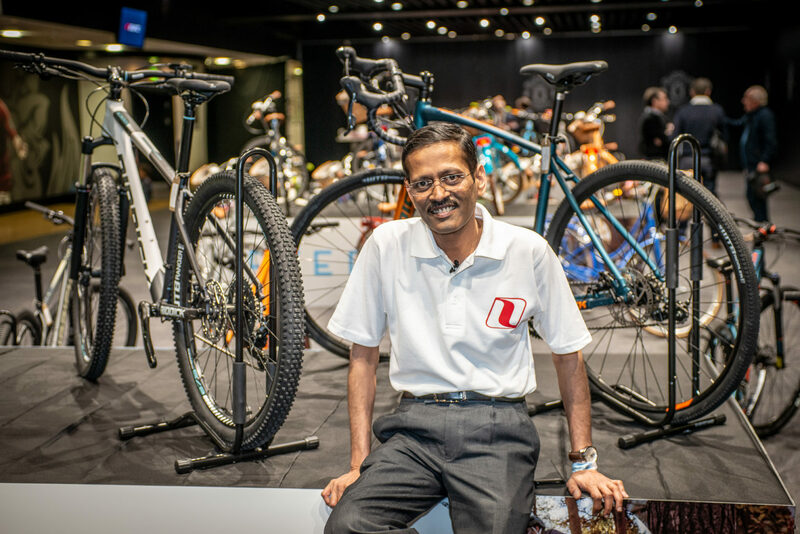 Sreeram Venkateswaran CEO of Hero’s UK subsidiary Avocet Sports said the new export drive aims to catapult the Insync brand and Hero Cycles into wider European markets. Mr Venkateswaran added that Hero Cycles is kick-starting a large investment in a new ‘bicycle valley’ in the Indian state of Punjab. The valley is designed to offer customers greater efficiency and flexibility by bringing its manufacturing centre and supply chain together. 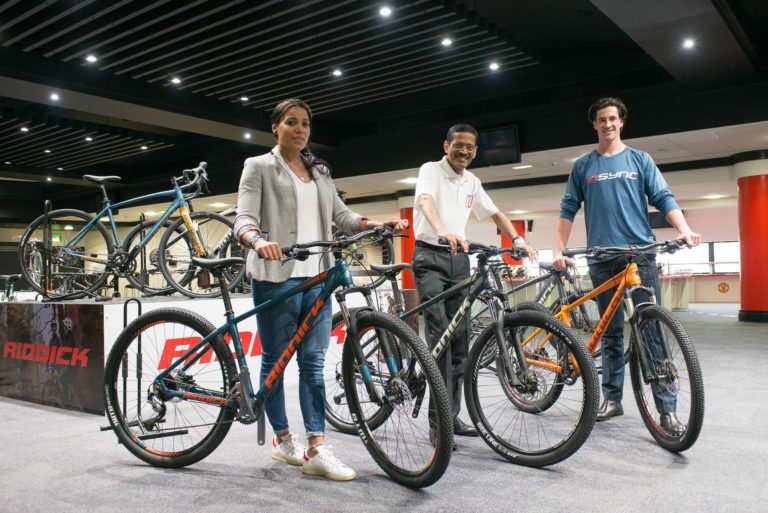 He said the operation is already working well with around 90 per cent of bikes sold by Hero Cycles in the UK being sourced from its Indian factories. The Insync range has four sub-brands Viking, Riddick, DeNovo and Ryedale and is the culmination of four years of work following Hero’s purchase of Manchester, UK based bike distribution house Avocet Sports in 2015. The deal saw Hero invest £2million in a new ‘Global Design Centre’ in Manchester, which opened in 2017. The centre is charged with designing bikes for developed country markets. Target market: Outdoors bike. Viking Pro Range model includes city, touring and road bikes. One of the most competitive bikes at the price range. Full Shimano group set, lighter, tighter rear triangle enabling better power transfer, stiffer and more responsive better for cornering and generally a more lively performance. Return of classic logo with minimal retro graphics for better urban look. Target market: Action and adventure bike range for cyclists of all ages. Lighter due to new butted tubes and hollow bb cartridge, more robust and more precise handling. Very competitive high quality components for price range including RockShox forks, WTB rims and Selle Royal seat. Target market: Lifestyle bike range for women, fashionable and healthy. Appearance now more contemporary and modern with greater attention to detail. Colour range more co-ordinated and on-trend, basket trim redesigned and basket can now clip off. Bikes are lighter switching from steel to alloy frame, ride generally easier and requires low maintenance. Target market: Mid-premium Childrens’ bike range ages five – 12 years. Better designed and more sophisticated and stylish with on trend graphics and colours. Range now mid premium rather than mass market. Bikes frame lighter switched from steel to alloy 6061. Design team consulted with paediatric physiotherapist to improve weight and reach dynamics of bike. Safety paramount, easier for learning to ride. Competitively priced.